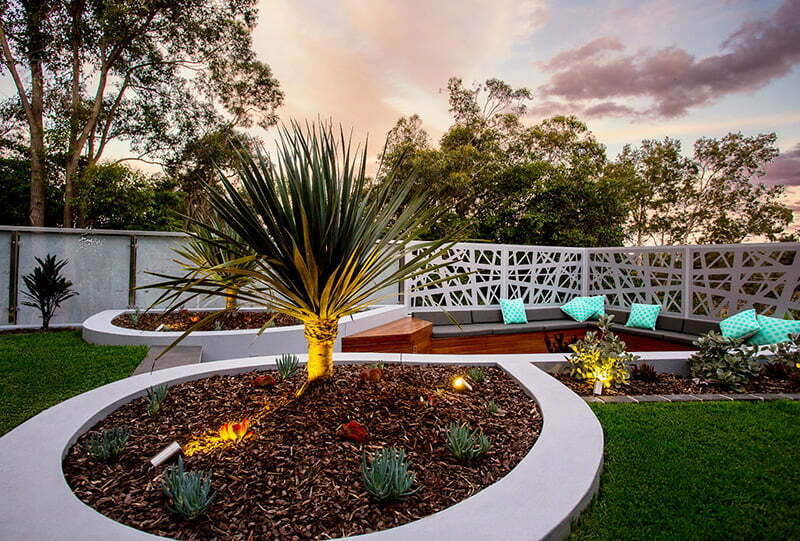 MUD is an award winning landscape design practice based in Newcastle. We transform your external space into a vibrant and functional garden. Perfect for your lifestyle! 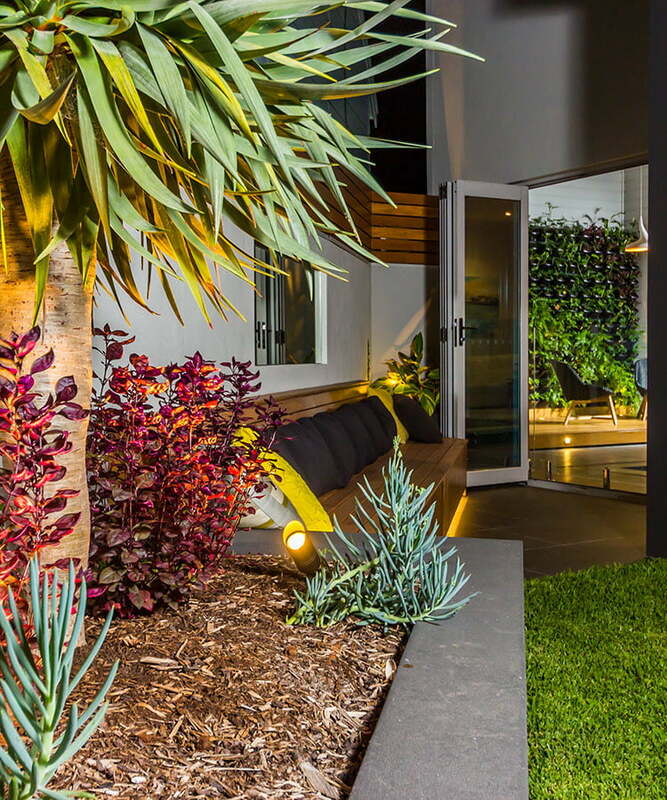 MUD provides landscape design services for residential and commercial projects, with our design philosophy fusing modernism, desert, and coastal elements to create landscape designs that compliment your architecture. MUD’s landscape design process realises your vision. We collaborate with you providing ideas, inspirations, and trends for consideration. 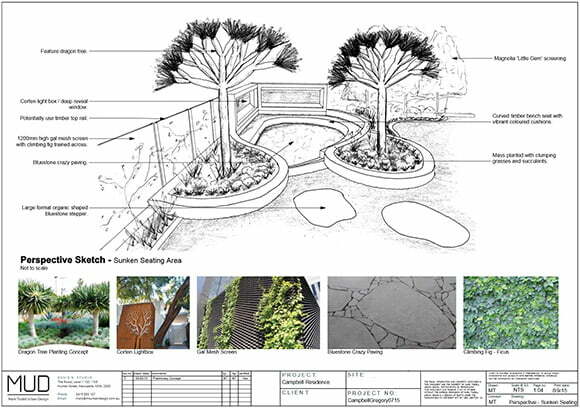 Your feedback is incorporated, and our Landscape Concept Design refined to ensure your perfect garden. MUD works with property owners looking to revitalize a run-down space, new home owners seeking to create the garden of their dreams and developers wanting to complement their buildings with an appealing garden outside, or indoors. MUD designs large gardens for residential homes, small gardens for terraces and townhouses, micro or indoor gardens for apartments, and sprawling gardens for estates. 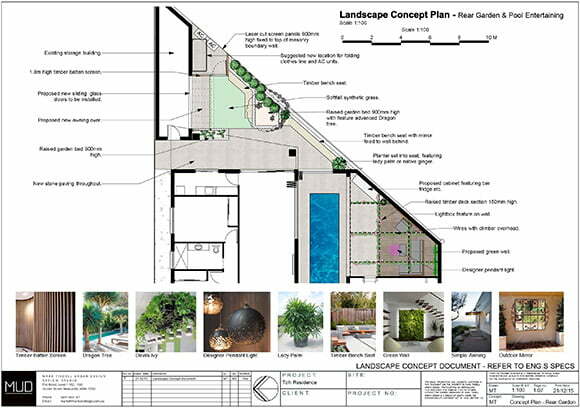 Commercial designs include vineyard and winery grounds, hotel courtyards and outdoor dining areas, corporate atrium’s, foyers, mezzanine areas, and sensory gardens for aged care and child friendly gardens for child care centres. The landscape design process begins with an onsite consultation so book yours today. 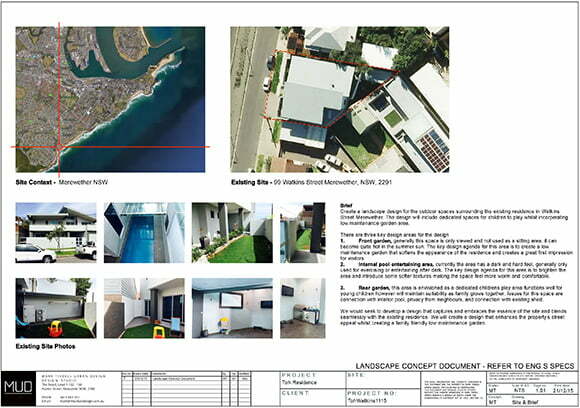 MUD can complete category 3 Landscape Plans to accompany your architectural Development Application. 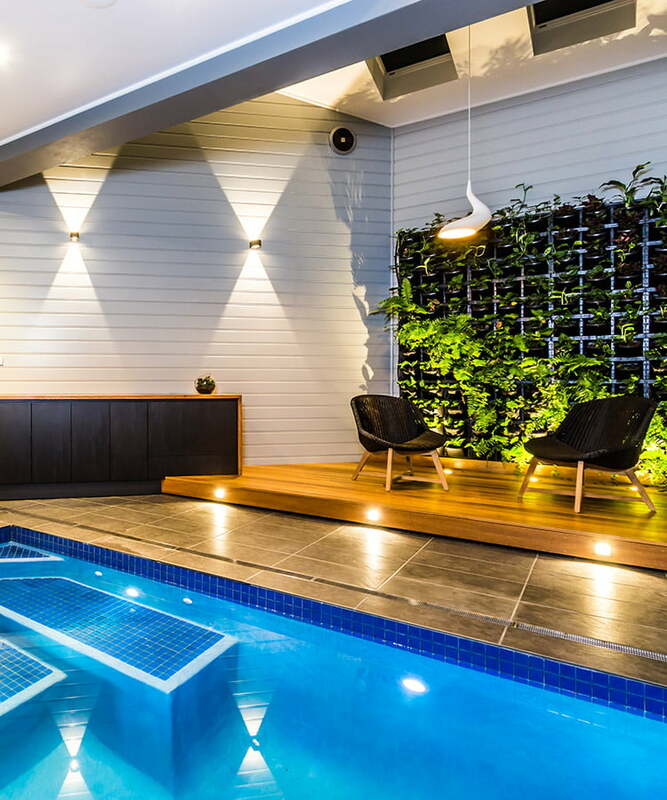 We can deliver a high-quality outcome tailored to your needs, whether that is a cost-effective design to requirements or a detailed high end custom design that really enhances the appeal of the development. MUD will visit the site and discuss your vision for the project, taking your brief. We conduct an analysis of the site, taking note of all key elements that will have an impact on the design. We have a general discussion around the potential direction of the design, the goal being to walk away confident that we are on the same page and that the design is heading in the direction you are after. MUD will bring a number of recent project drawing examples to give you an understanding as to how we present design proposals and what you can expect working with us. Following, a fee proposal is presented outlining project deliverables and timeframe. Our standard initial consultation fee applies for this service. Upon acceptance of the fee proposal MUD will develop your Landscape Concept Design based on your brief. This is where your vision comes to life! The preparation of your landscape design will take place over two design phases. 1. Preliminary Concept and 2. Landscape Concept Design. The Preliminary Concept phase is where we communicate the design intent, proposed layout, suggested surfaces, finishes, and planting concepts. Your feedback is then taken into account before we go ahead and prepare your finalised Landscape Concept Design. Following, any further feedback is incorporated and the Landscape Concept Design is refined until its perfect for yourself, your site and your family. MUD will present the revised and final Landscape Concept Design in the form of layout or detailed construction plans, including dimensions and levels, along with details of surface, material, plants, fittings, fixtures and lighting. From here MUD can manage your Development Application (if required) and provide project management services including management of contractors and the day to day construction of your project through to completion and handover, ensuring you achieve the highest standard of finish.